Whether side by side one one above the other, these two sisters always seem to be completely synchronized. 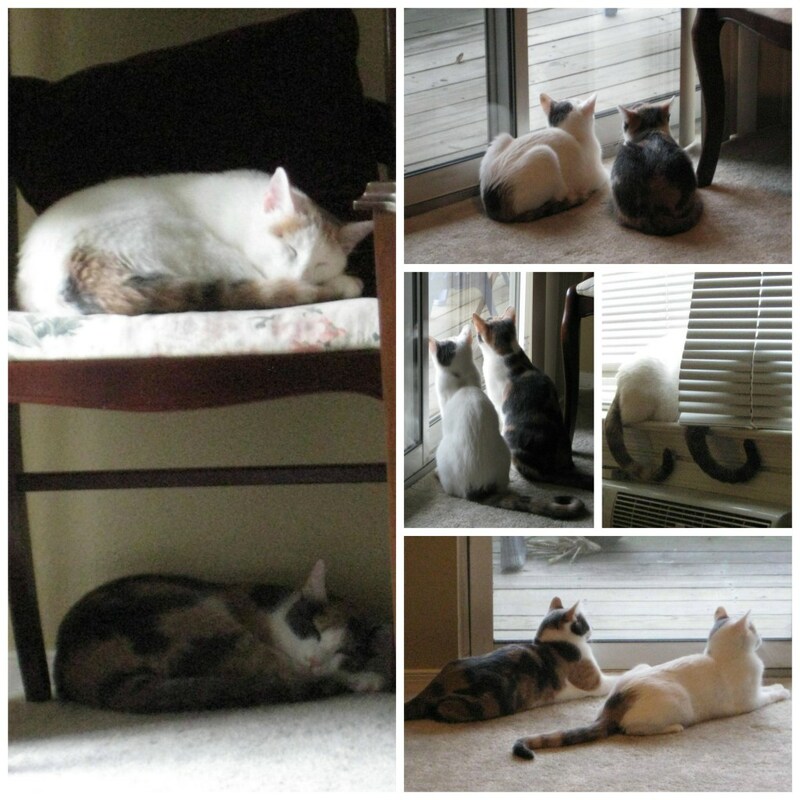 Callie and Chloe Collage by The Kitty Curator. 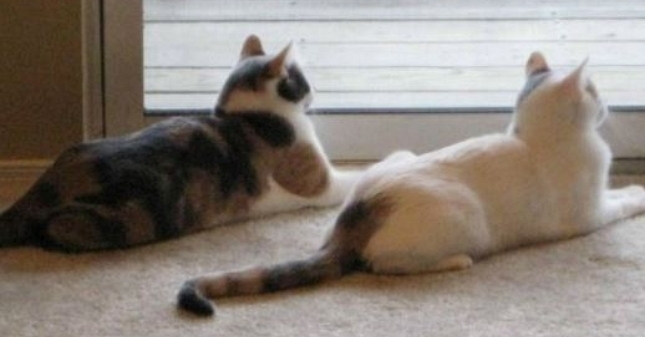 Callie and Chloe were adopted by Cara, The Kitty Curator, in 2011, their mother having been a stray. Sadly, Callie passed away last year, but Cara continues to celebrate the love and joy she brought to her life, one enriched every day by sister, Chloe. Thank you so much for featuring my sweet girls! My pleasure. They are lovely and I am so sorry for your loss of Callie. I’m sorry for your loss. Your kids are beautiful! I hope her sister is doing well after the loss and will live for many more years. Thank you for sharing their sweet story with us.